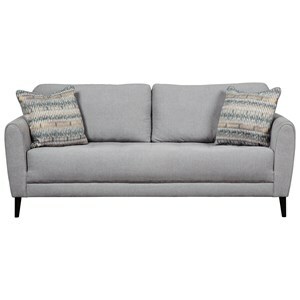 This elegant low profile arm sofa features beautifully carved feet in front. 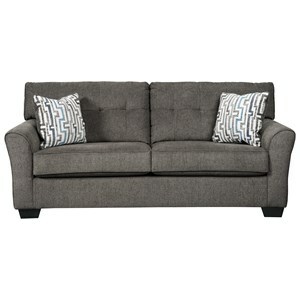 It provides space and confront due to the wide plush cushions and the attached full pillow backs. Available in a variety of colors. 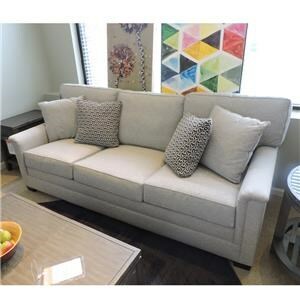 The 2081 Low Profile Arm Sofa by Huntington House at Belfort Furniture in the Washington DC, Northern Virginia, Maryland and Fairfax VA area. Product availability may vary. Contact us for the most current availability on this product. Tailoring Matched down the front, over the arm on down to the skirt, and over the back down to the skirt on frames with a straight rail. 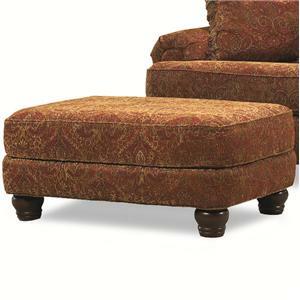 Padding & Ergonomics Premium environmentally safe 1.8 density UltraCell base core. 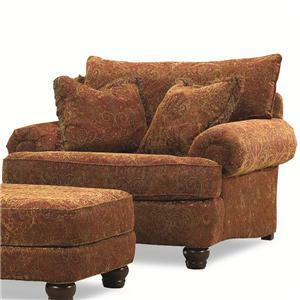 This traditional collection offers unique features that enhance aesthetic appearance such as the low profile arms. 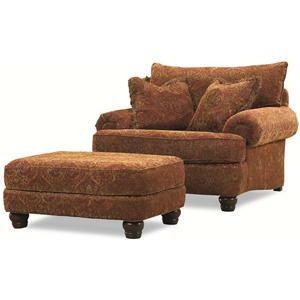 This beautifully designed collection inspires character in any room and brings home tradition. 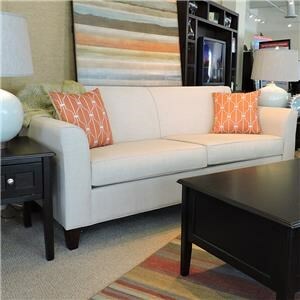 Huntington House furniture has a variety of unique options. 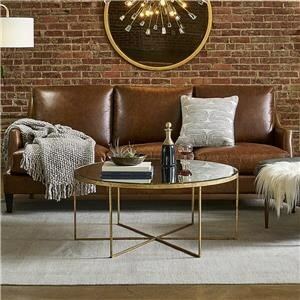 For contrasting throw pillows, throw pillow fringe or rope, contrasting welt on the through pillows, or contrasting bias welt or welt on the entire piece comes at no extra charge. 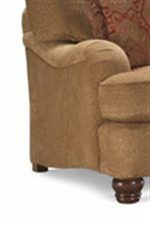 The wood finishes are available in 27 different shades, and any fabric offered by this company can be placed on any frame. 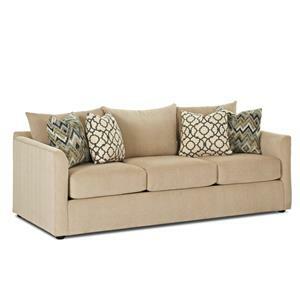 The 2081 collection is a great option if you are looking for Traditional furniture in the Washington DC, Northern Virginia, Maryland and Fairfax VA area. 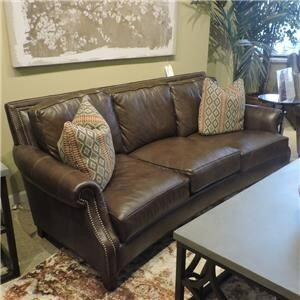 Browse other items in the 2081 collection from Belfort Furniture in the Washington DC, Northern Virginia, Maryland and Fairfax VA area.